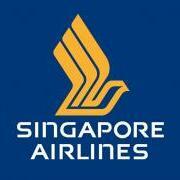 Fly from Los Angeles, USA, to Kuala Lumpur, Malaysia, for as little as USD1,278 with Singapore Airlines. This is a promotional round-trip economy class fare inclusive of all taxes and airline surcharges. Departures are available from other US cities for higher fares. This promotion is available for travel on select dates from July 16 – December 9, 2012. 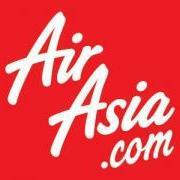 Starting June 20, 2012, AirAsia will offer direct flights between Beijing, China, and Kuala Lumpur, Malaysia. The initial schedule will be one roundtrip flight per day. One-way promotional fares start from CNY939 (USD146) including taxes and airline surcharges. Additional fees apply for meals and checked luggage. Promotional fares are available select dates through October 31, 2012. Emirates Airline is offering special fares on direct flights from Dubai, UAE, to Kuala Lumpur, Malaysia. Round-trip economy class fares are AED3110 (USD850) inclusive of all taxes and airline surcharges. Fares include checked luggage and on-board meals and beverages. Promotional fares are available on select travel dates now through September 30, 2012. 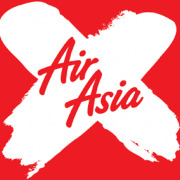 From April 1, 2012, AirAsia X offers direct daily flights between Sydney, Australia and Kuala Lumpur, Malaysia. Promotional fares start from AUD447 (USD478) for round-trip economy class travel. The quoted price includes taxes, airline surcharges, and carry-on luggage. Promotional prices are available on select travel dates now through August 31, 2012. The biggest event in Asian budget air travel is here – AirAsia’s BIG SALE! One-way fares start at MYR19 (USD6) from Kuala Lumpur to Penang, Bangkok, Bali, Singapore, Hanoi, Manila, and more. Fares start from MYR169 (USD54) to long-haul destinations like Seoul, Tokyo, Sydney, and Taipei. Bookings must be made February 15-19 for travel between September 11, 2012 and January 31, 2012. 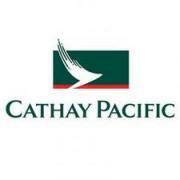 Cathay Pacific Airlines is offering special fares from the USA to Kuala Lumpur, Malaysia. Round-trip economy class fares start from USD1,114 departing from Los Angeles or USD1,161 departing from New York JFK. Fares include taxes and airline surcharges. These promotional fares are available on select dates now through May 23, 2012. Malaysia Airlines is offering special fares from London, UK to selected destinations in Malaysia. Round-trip economy class fares start from GBP569 (USD880) with your choice of travel to Kuala Lumpur, Penang, Langkawi, or Kuching. Quoted prices include all taxes and surcharges. Promotional fares are available on select travel dates now through June 15, 2012. Finnair flies between more than 30 cities in Europe and Kuala Lumpur, Malaysia. Roundtrip economy fares start at EUR900 (USD1,210) from Geneva, EUR930 (USD1,250) from Stockholm, EUR950 (USD1,275) from Frankfurt, and EUR970 (USD1,305) from Paris. All taxes and surcharges are included. These promotional fares are available on select travel dates now through January 31, 2011.